We hit the road around 3:30 to make the two hour trip in order to be on the water for sunrise. Our plan worked out and we were at our first spot on time. The fish must have stayed up late because they turned on slow but as the sun started to peak above the trees, the fishing heated up. We were vertical jigging and making short casts over structure. 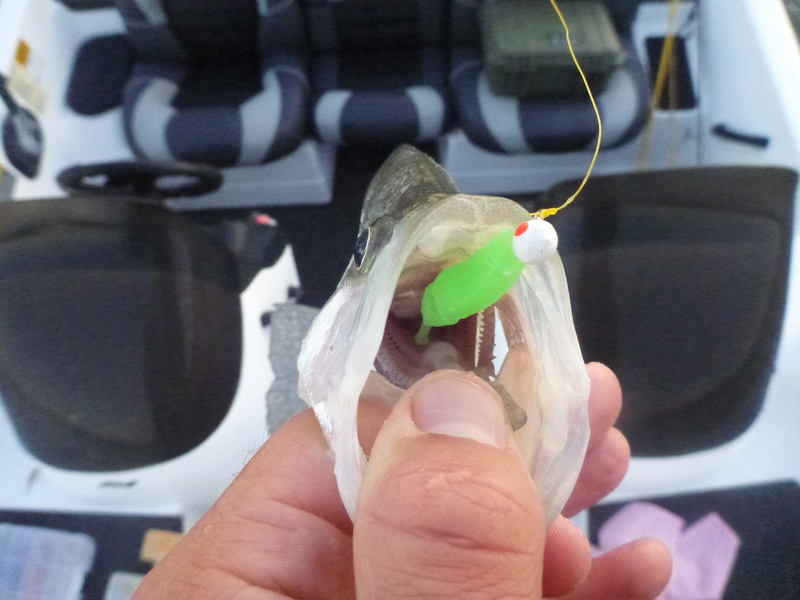 We mainly used 1/8 ounce jigs tipped with a “Live” Baby Shad by Lake Fork Trophy Lures. Although we found just about any color to be working once the fish started biting, pearl, chartreuse glo, black/pink, and bluegrass were the main colors we utilized. We worked mainly on the bottom to pick at the fish but when we couldn’t get a bite we would work up and down the water column. Some fish seemed to be just under the surface of the water while others were down 12-14 feet. 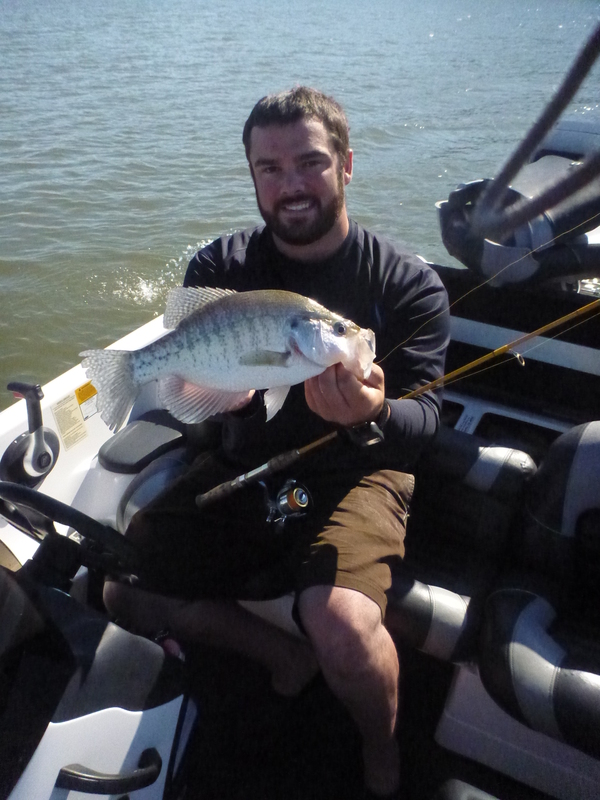 Other than the depth selection, we found that some fish wanted constant jigging while others wanted no movement at all. By not settling on just one depth and action to target, we were able to make the trip successful. 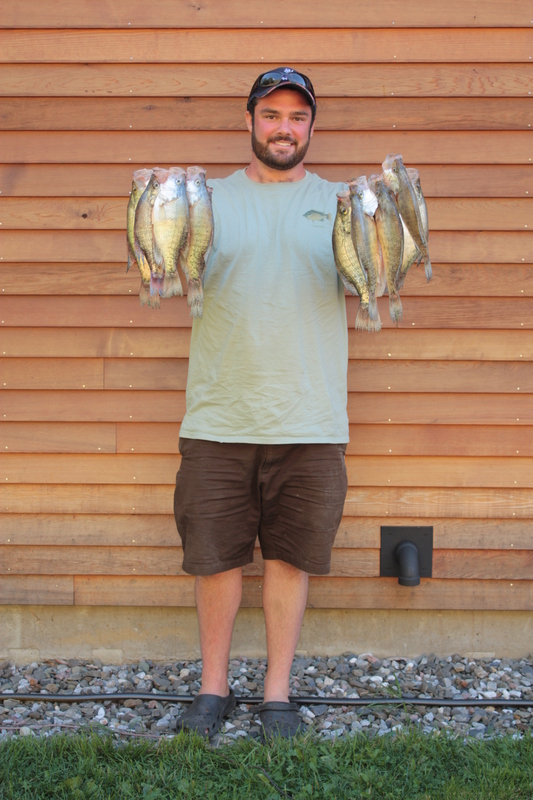 We caught a pile of fish with a solid average of around 11″. 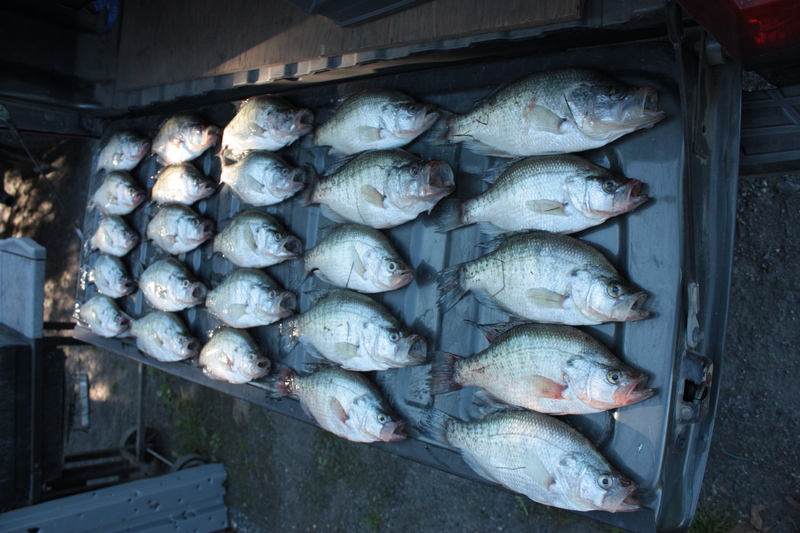 Check out A Quick Limit Of Crappie on our YouTube page! From the look of it, u had a good day out. Thanks for sharing, it keeps me motivated to go get me some fish when i am off again. well good luck when you do!